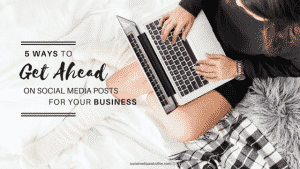 Would you like to get your social media posts in front of more people? Of course you do! With the algorithms on social media platforms that seem to bury posts, I think we can all agree that we could use some more EYES on our posts! One great way to get some more visibility is by using Instagram Stories. If you haven’t used this feature of Instagram before, these are the “stories” that are represented by the circles at the very top of your home feed on Instagram. One of the best things about Instagram Stories is that they are always at the very top of people’s home feeds. There’s guaranteed visibility right there! Even if your regular posts get buried in the feed, your Instagram Stories will not. Also, Instagram stories are a way to give people a much more personal connection with you or your business. 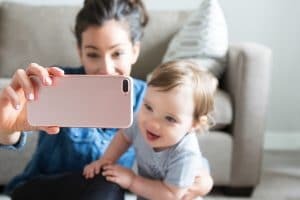 These short little video clips and photos feel very much “in the moment.” It is a way to connect with people in an unpolished, behind the scenes, real-life kind of way…which is exactly the connection that people are craving! Go to your home feed or your Instagram profile. Click on your profile photo at the top (you will see a little blue plus sign there.) Another way to get there is to go to your home feed and swipe right. Type – create sentences or words with various sorts of backgrounds. Normal – this is where you take photos or make regular videos (note – there will be ways to edit them and add effects after you take them.) To take a photo, press the button once. To take a video hold the button down. Videos are 15 seconds each. Boomerang – This is how you create those little videos where the photo goes back and forth between 2 images (looking like the subject moved). Press this button and move the camera or the subject. You will then see the video that was created with this effect. Superzoom – This is a really fun effect. Scroll through the little icons above the camera button and try out a few. Select an icon and then press the camera button. You can see your fun little video snippet. Rewind – hold the button down to make a little video. This effect will then play the video in reverse, adding a playful element to your story. Add some stickers or effect to your photos and video! There are all sorts of fun stickers and effects to add to your photos and video! I won’t go through every one, because more options are seemingly added every day. Play around with the buttons that are beside the camera button and add some fun to your story. The options down by the camera button will be effects that show up AS you take your photo or video. Then after you take your photo, there are sticker and effect options on the TOP of your screen. These are effects you add AFTER you take your photos. You can add little icons, text, and even handwritten words to give your photo some life. To add this screen to your story, then press “Your story” at the bottom of the screen. Instagram will add this screen to the end of whatever stories you have on your profile. Remember, they are there for a rolling 24 hours and then they disappear. You also have the option of adding photos and video from your phone that you’ve previously taken, or that you’ve saved to your photo roll. When you originally open Instagram Stories, you will see a square on the left-hand side at the bottom. This is your photo roll. Feel free to pick something and add it to your story in the same way you added a story before. 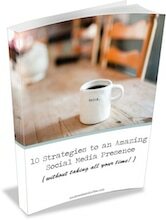 Need some great photos to use on your social media? Here are my favorite stock photos! Remember how I said that Instagram Stories only last for 24 hours? While that is TRUE, there is a way to keep a collection of them on your profile from now on. You can add your favorite stories to your HIGHLIGHTS. When you are looking at your Instagram Profile, your story Highlights are right above your photo grid. If you haven’t saved any stories there yet, it will just say “Story Highlights” with a drop down arrow. Click the arrow to open up the Story Highlights section. Tap the plus button to add a new Highlight. All of your previous Instagram Stories will show up. Select the ones you want to add to a Highlight. Click Next. Give your Highlight a Title. You can also edit the Cover – this will be the photo that shows up on the front of this Story grouping. Another great feature that has become available through Instagram Stories is the ability to add a website link. Traditionally, Instagram has not been super link-friendly, only allowing them to be clickable in your Bio. 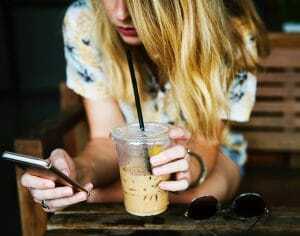 BUT, Instagram stories offer a fun way to connect people to pages you’d like them to visit. Note: At this time, this is a feature only available to those with a business profile, who have more than 10,000 followers. We all hope this will roll out to everyone soon! Once you take your photo, or select one from your photo roll, a link icon will appear as one of the options at the top of your screen. Click on that icon. A new window will pop up. Add your link there. Continue creating and editing your Instagram story as you would otherwise. When we are marketing our businesses on social media, all of us want to know the RESULTS. We want to know how many people saw it, what their response was, and what they think. As I said before, people can’t like and comment on your Instagram Story, but you CAN see how many people saw your story. In fact, you can see WHO saw your story! One of the best measures of whether your stories are effective is by how many people are watching them. I know there are several people and businesses that I follow that I ALWAYS watch their Instagram Stories. Once they are consistently posting and putting up great content, I want to watch it and be engaged with them and their brand. Here’s an Instagram Pro-tip for you – you can actually schedule posts ahead of time! This has been sticky with Instagram off and on, but I have used Tailwind for a while for Pinterest (and absolutely love it.) Recently they also rolled out Instagram scheduling. LIVE SAVER. If you are needing to lighten the load a bit with all of your Instagram scheduling, pop over to Tailwind and give their scheduling tool a try. 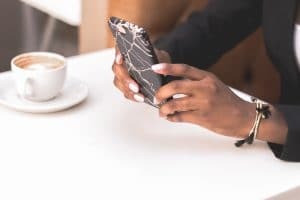 WHY should your business be making use of Instagram Stories? People are much more likely to see your content and click on it since it’s right at the top of their home feeds. Also, since the stories only last 24 hours, there is a built in sense of spontaneity. Your audience recognizes that they need to watch or else they may miss out! Behind the scenes of your business – You could show random moments with your people. Product demo – Show how to use one of your products, or ideas for how they could use it. Don’t forget to tell them where to buy! 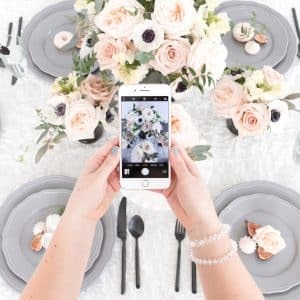 You could have flash sales or show coupons – If you have these only on your Instagram stories, then you will have a measure of how many people used them and how big your engaged audience is there. Also, if the coupon is not anywhere else, then it encourages people to watch your Instagram Story next time! Tease your blog content – if you have a new post up, tell people about it, put up snippets of tips, show photos of what people will find there. And then link to the post, of course! Numbered lists or countdowns – you could show your top 10 favorites of something, great moments in the year, or anything else! Show footage from events – if you have had a company event, dinner, grand opening, etc. – this is a great way to show some of the highlights! Mention another company that follows you or works with you – this is a great way to give them a shout out. 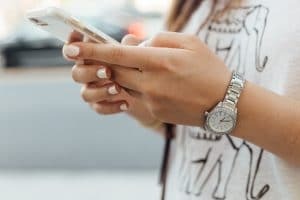 If you haven’t tried Instagram stories for your business yet, it’s the perfect way to connect with your audience and let them feel “in the moment” with you! 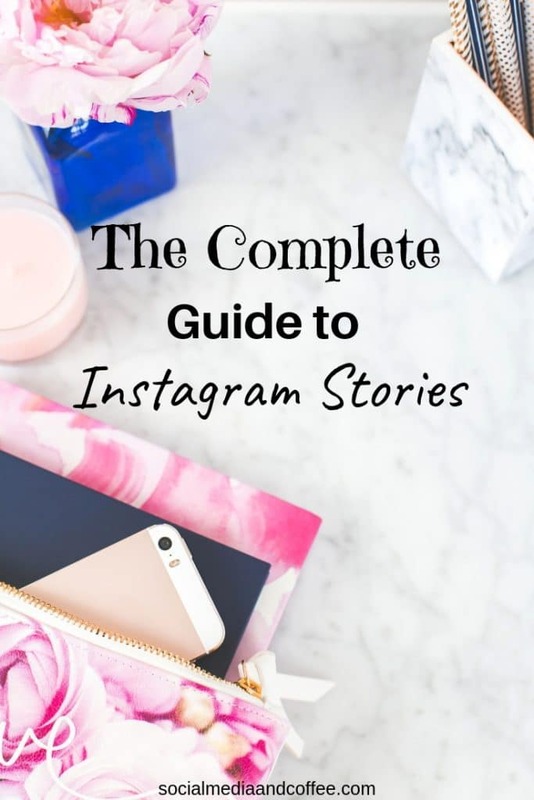 Want to remember The Complete Guide to Instagram Stories? Save it to your favorite Pinterest board!